Everyone needs a pair of shoes that are formal. These can be used for various occasions, whether it’s for work or they could even be used for a more special occasion like a wedding. 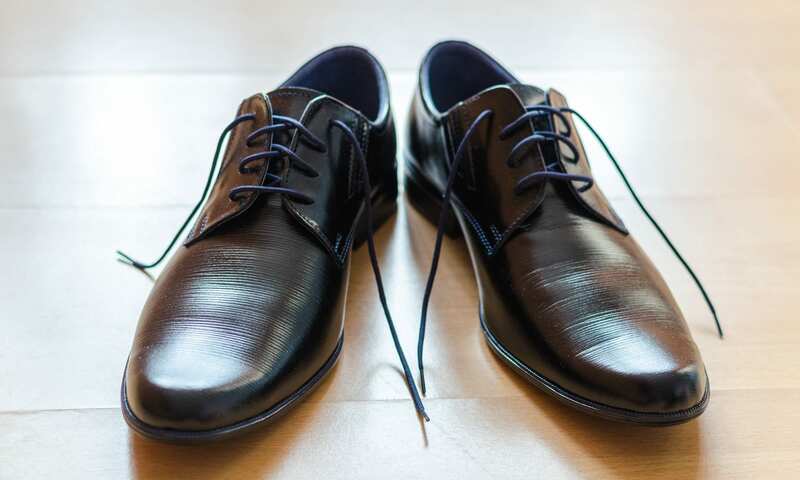 However, when you buy a pair of formal shoes, you need to make sure they’re comfortable because there’s nothing worse than purchasing seriously uncomfortable shoes that are going to leave you in pain all day. If they do this, then they could give you problems for quite a few days, especially, if they cause you to have blisters. Therefore it’s very important you get the right shoes for you. Related: Best Men’s Dress shoes. 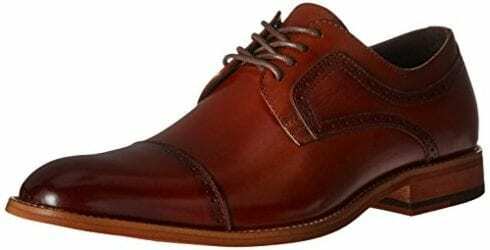 View the Best Dress Shoes, Below. How to lace Dress Shoes? How to Clean Dress Shoes? 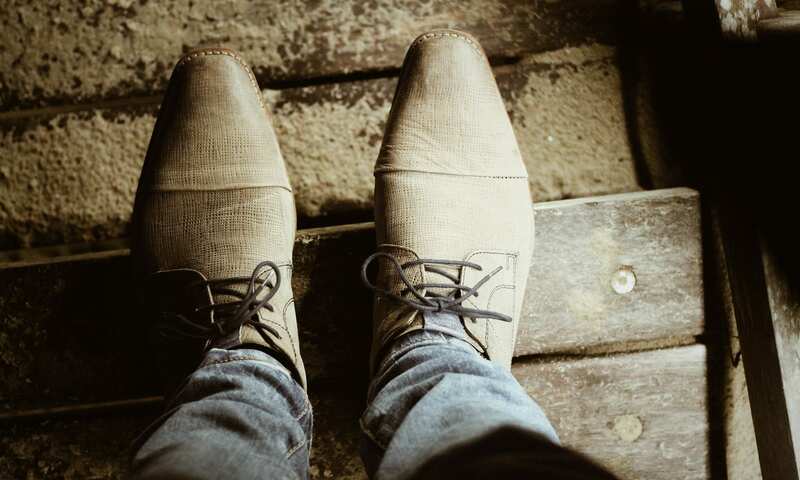 We’ve put together a list of all of the top dress shoes around that are both stylish and comfortable so you won’t have to worry about ever wearing uncomfortable shoes again. 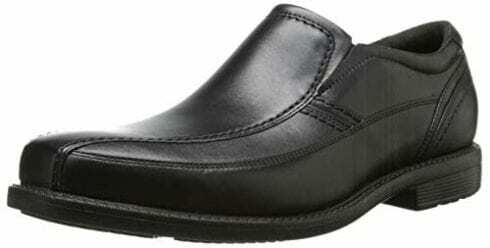 Clarks is a very well known shoe brand, and they are known for providing you with comfortable shoes. These specific shoes are more than comfortable, and they will make you feel as if you've still got your slippers on your feet. They are a lace up style and are available in black. The shoe itself is a very modern design and has quite a sharp point at the end of the shoe. This is a very fashionable look that a lot of people are wearing now. These shoes would be suitable for a whole range of things from work to a more special event, and they will look very formal. We liked these shoes because of the design, and they look very classy when you have them on your feet, plus, they are very comfortable. 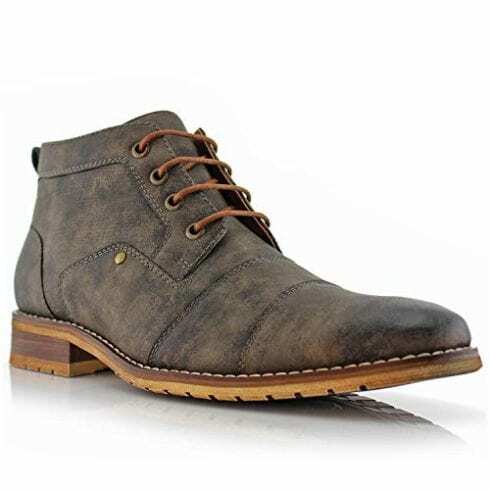 If you don’t like lace-up shoes, then these shoes will be ideal for you. This is because these shoes are actually slip on, making it a lot less hassle if you want to put them on quickly. These shoes are exceptionally comfortable to wear because they have actually been made from a sponge EVA footbed. This actually enables the shoe to mold to the shape of your foot, so it allows them to be able to fit your foot shape precisely. They are also lined with Dewix linings so it will reduce the foot odor smell that may come from your shoes. We liked this shoe because of the amazing additional features that it has, like the fact that it is able to mold to your exact foot shape. If you need a shoe that you can also purchase in a whole variety of colors, then this is really the shoe for you. It comes in a total of eight different shades, so there really is a whole variety to choose from so you can even buy a couple of different colors if you like them that much. They are made from premium leather, and they have also been through six different types of polishing procedures, so they will never lose their shine. They are lined with PU and fabric that has a whole ton of air holes in to allow your foot to breath. We liked these shoes because they are very fashionable to wear and they prevent odor forming on your feet and on your shoes. These shoes have been made from the highest quality of leather that you can imagine. They have a very strong rubber sole that has extra grip on the bottom of it to stop you from ever slipping over in them. They are suitable for all day purposes, meaning that you can wear them day in day out, for instance, you may wear these to work. They are formal and stylish and are suitable for most occasions. These shoes also promote good foot health and have been accepted by the American Podiatric Medical Association, so they really are very beneficial for your feet. We liked this shoe because they are very suitable for formal occasions and they are also very healthy for you to wear. These shoes are a very classic design, and the color that they come in is very fashionable. However, you will need to be more selective about what you wear with them because the color can easily clash with specific items of clothing. They actually have a wooden heel, meaning that they are very sturdy and strong, so they should last you a lifetime. These shoes are very comfortable to wear, and they are definitely suitable to wear if you need to wear them on a daily basis or if you just need to wear them for a special event. We liked this shoe because they are very trendy right now and the color that they come in is even more stylish. They are suitable for all formal occasions. As soon as you put your foot into these shoes, all that you will feel is instant comfort. They are very easy to put on as you just slip them on. They have a flexible sole, meaning that they won’t feel stiff to walk in them at all. They come in two different types of colors, so if you find them very comfortable to wear, then you can always purchase them in a different color too. They are a very modern design and have been made with the softest of leathers so they will be comfortable on your feet all the way around them, not just in one place. We liked these shoes because they are so comfortable to wear and they are very suitable for any type of event you need to go to. If you want a pair of shoes that make you look like you're a very upper-class type of person, then these are the shoes for you. They come in two different colors one of them is a very classic and modern shade of brown that is actually darker at the tip of the shoe and then fades into a lighter type of brown. The other color they come in is black, so if you need them for an everyday purpose, then these might be more suitable. They are made from a premium type of leather and have a fully cushioned sole inside that is able to mold to your foot shape. We liked these shoes because the design of them is incredible and they will really make you look very sophisticated when you wear them. These shoes actually have breathable leather, so it allows your feet to breathe when you wear them. This feature also helps prevent odor from forming in your shoe and on your feet. They have a flexible sole, which makes them very easy to walk in and there's no stiffness at all. 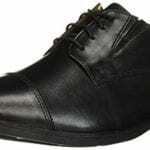 They are a lace-up type of shoe, which gives them an even more formal look and feel. They are also very light to wear on your feet so it won't feel like you're being weighed down with every step that you take. They have a memory foam insole that is able to adapt to your feet. We like these shoes because they can easily adapt to your foot shape so they won't cause you any pain or blisters, as they are able to mold. These shoes come in a whole variety of colors; in fact, there are actually ten different shades that you can choose from. Some of these even come with a slightly different design, so you even choose the precise design that you would like. These are made from premium synthetic leather, but have the exact same look and feel as any real leather would have. They have a finely ribbed durable dress sole, which provides you with a lot of extra comfort so you can wear them on a day-to-day basis if this is what you need them for. We liked these shoes because you can purchase them in a whole variety of colors and styles, so they are suitable for any event you need to go to. These shoes are more suitable for casual/formal events, but this all depends on what color you decide to purchase. 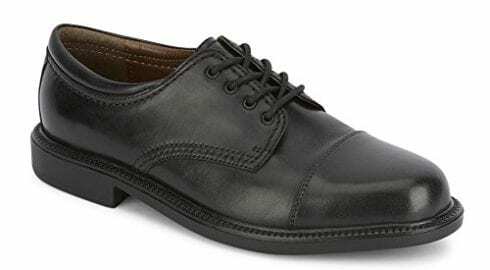 This is because if you buy the black version of this shoe, then it will definitely be suitable for all formal events; however, other colors may not suit formal events as much. 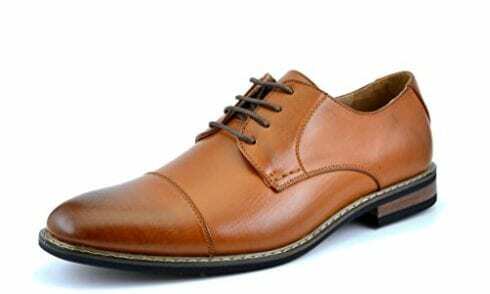 They are made form a top quality synthetic leather that is very breathable for your feet, therefore, you won’t have to worry about the shoes having an odor or your feet having an odor because it will not allow you to have this no matter how much you wear them. We like these shoes because they are very comfortable to wear and you can wear them in any weather condition because they are water resistant. 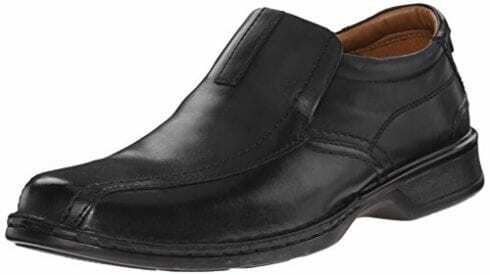 There is a whole range of dress shoes that are online and in the stores all across the United States. However, it can be quite difficult to decide which one you should purchase. This is because there is a whole range of styles that you can choose from, and some of them are a lot more fashionable compared to others, while some like to focus more on comfort compared to others. Therefore it can really put you in a right dilemma over which ones you should purchase. So we’ve put together all of the factors and features that you should look out for before you purchase any dress shoes. This really depends on how you want to shoe to look and what is going to be more comfortable for you to wear. 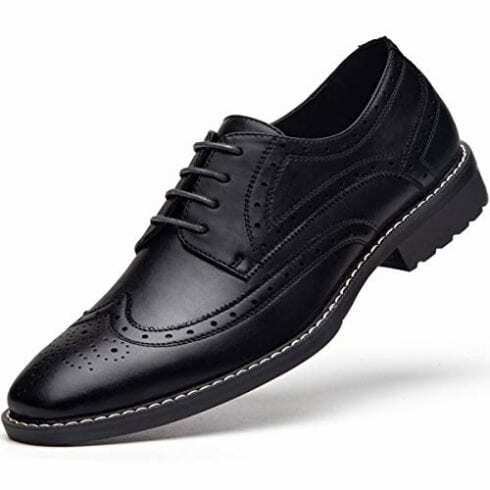 If you do struggle with tying up laces, then it is probably better if you purchase a slip on type of dress shoe, as these will be a lot easier for you. However, lace-up shoes do tend to be a little bit more fashionable to wear, and they do tend to come in more of a variety of designs. Not only this, but you will also be able to be a little bit more creative with lace-up shoes. This is because you can tie them in a whole variety of ways. If this doesn’t bother you too much, then a slip-on shoe may be better for you. Another feature that lace-up shoes do have is the fact that you are able to tighten them up if you need to. Once you wear your shoes for a little while you may start to notice that they become a little bit looser and this is only natural. If you do want to buy slip on shoes, then you must be aware that you cannot tighten them up, as you can with lace up shoes. You may have noticed in the list above that some of the shoes tend to be made from leather, while others are made from synthetic leather. There is a slight difference between the two, and real leather will tend to probably have a bit of a longer life compared to synthetic leather. However, you will have to treat leather more frequently compared to synthetic leather, and you can do this with various treatments like polish and cream. One other difference between the two is the price of them, and you will find that synthetic leather does tend to be quite a bit cheaper compared to real leather shoes. 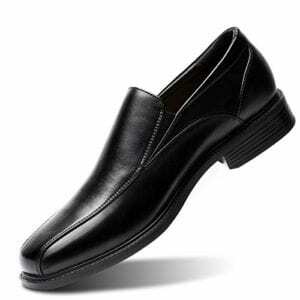 This is because they can be made at a faster rate compared to real leather shoes. Plus, you can instantly tell if a shoe is made from genuine leather or not because of the smell that it has and the way it will feel in your hands. 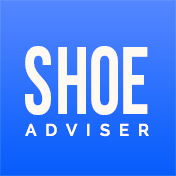 The major bonus with real leather shoes is how long they are able to last, and if they are treated the right way, then they may even be able to last you your whole life. The insole is one of the most significant factors that you need to definitely read about before you purchase any dress shoes. This is because the insole is what is going to provide you with the comfort that you most desire. It really depends on the shoe to what the insole will be made from and what the designers have chosen to make it from. Some of them may be made from memory foam, and if they are you will know for certain that these will be very comfortable for you to wear. This is because they are able to mold to the exact shape to your foot so it will enable a very personal fit to your feet. However, memory foam is not the only material that will make your shoe comfortable to wear, and there are also multiple materials that can offer you the same feeling. Therefore, it’s best to read the description to see what the insole is made from before you do purchase any dress shoes. First of all, you will need to get both of the shoes and make sure you have both of the laces as well. Once you have done this, you will need to insert both laces into the bottom holes and then make sure you have a horizontal line that goes from either side of the holes. Make sure both of the ends of the laces are exactly the same length. Then take one of the laces and insert it into the hole that is directly above from the inside of the shoe, then put the same lace through the hole that is horizontal to it. Take the other lace and repeat the same action to the hole above it, but make sure you always switch laces after you have finished the action. If your shoe has five holes going up the side, then it’s important that you make sure one lace is slightly shorter than the other, as they will end up the same length once you have finished lacing them. You can easily clean a dress shoe by using a variety of different products, for instance, you can use polish or cream that is specifically designed to clean leather shoes. Before you use the polish, you will need to clean them first and make sure there is no leftover polish on them. To put polish on them, you will need to read the instruction on each of the polishes, as the instructions may vary for each one. However, they should all leave your shoe looking like it’s brand new. When you try on the dress shoe that you’re looking to buy it’s important that you feel that they fit comfortably. This is because if they don’t feel comfortable on then, they are more than likely not going to be very comfortable to walk around in or use on a daily basis. When you do try them on they may feel a little stiff at first, and this is normal because they will need to be broken in. One thing that you should look out for when you’re trying them on is if they hurt at all then this is a sign that they don’t fit properly. Before you do go to any formal event or special occasion, it will probably be best to polish your shoes so they can look their very best before you wear them. A typical man will own roughly five different pairs of dress shoes that are suitable for all formal occasions, as well as formal shoes that they can wear to work. Find more tips on choosing here. We hope you enjoyed our article on "10 Best Dress Shoes in 2019", if so, please share and rate it.